Jimmy the Gun: Pepsi Max: A True Diet for Men? Fat men, and that's starting to be me more and more, do have a choice in soda now. For the first time I can ever remember, the marketing for a product actually caused me to try the product. The commercial for Pepsi Max, that ran during the Superbowl and I posted here, is actually a diet soda that I can bare. Although it still has a diet taste, it's not as strong as other diet sodas out there. It's also made with Ginseng and caffeine to help give energy. I do want to say: it is diet. And diet is not as good as regular. In fact, Diet Mountain Dew is awful, and I don't like to say anything bad about MD (I love regular Mountain Dew so much I don't even mind that it's part of the reason I'm headed upwards in the numbers associated with my weight). But diet is not good, gross usually. 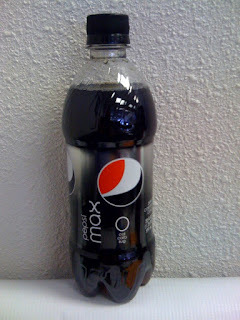 Pepsi Max; however, is a decent attempt. Because I posted the commercial so many posts ago, and because I think it's so good, I'll post it again.